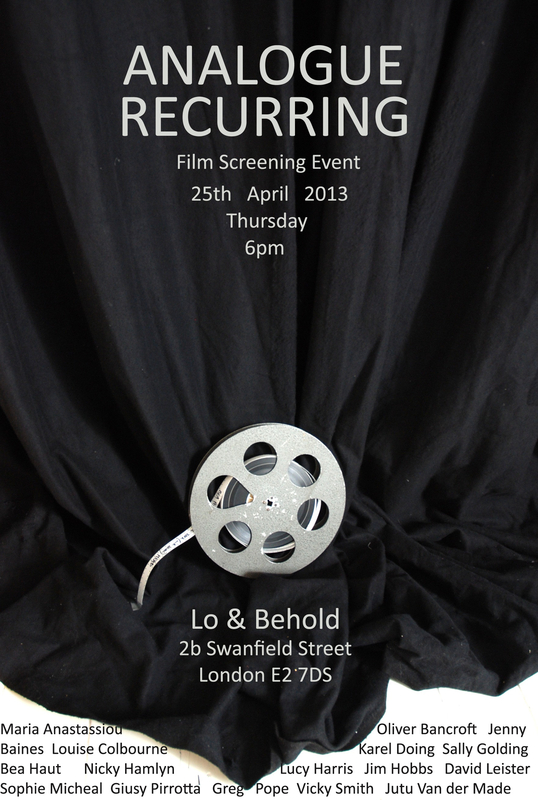 I will be showing Rings at an Analogue Recurring event at Lo and Behold, London, on 25th April. Rings. Four 16mm black and white loops for four projectors, approx 15 minutes, silent, 2012. Rings revisits a format I devised for a student work I made in 1974: 4 X LOOPS. Four identical loops play a repeating, one-second long animated cycle. The projectors are moved into a variety of configurations during the work’s duration, generating pulsating patterns of light and pseudo-movement. Each performance is different. This will be its fifth.